28 Comments This post may contain paid and/or affiliate links. Please see our disclosure policy for further information. When I first launched my blog, I wanted to make an extra $700 a month, so that I could continue to participate in my weekly exercise classes, pay for my daughter’s baby and me classes, and enjoy my weekly Starbuck's habit. Even though I was working 10 hours a week as a social media manager, the money I made from that job covered bills, food, and my blogging expenses. To cover my extracurricular activities, I sold things online and at thrift stores, I participated in paid focus groups and even worked an occasional weekend shift at my old nursing job. Fortunately, my blog gained traction quickly, and within three months I started earning money from it. Today my blog is my primary source of income. The point of my story is, if there is a will there is a way. If you need to make $500 a month – you can do it. If you need to make $1,000 a month — you can do it. 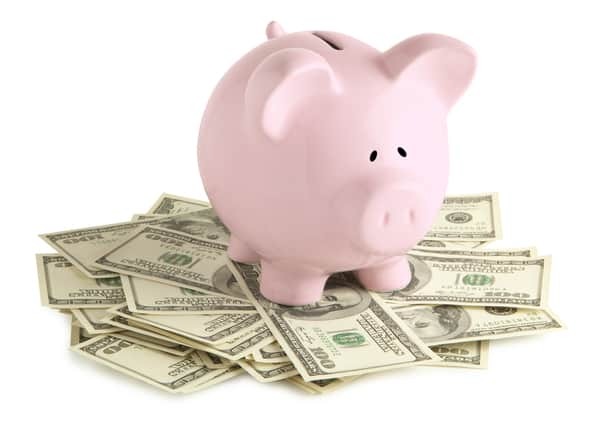 Here are some ideas, stories, and ways for you to get started bringing in the cash! If you'd like to find out more about making money with Teachers Pay Teachers, check out this post. Fiverr is an online platform where you post tasks that you’re willing to complete for $5.00. People sell everything from writing services, design services, voice over services, to making phone calls, and videos. Once you make a sale, Fiverr will keep of fee of $1.00 and payments will be made via PayPal. Doesn’t sound like much money? Connie Brentford is making good money on Fiverr, she even wrote an e-book about it, How I Made An Extra $1,200 Per Month At Home Using One Free Website. Note: Connie's book is currently unavailable. However, there is a Fiver Mastermind Group that contains six successful Fiverr sellers that each earns $100K per year — they too have an e-book worth checking out: The Fiverr Master Class: The Fiverr Secrets Of Six Power Sellers That Enable You To Work From Home. 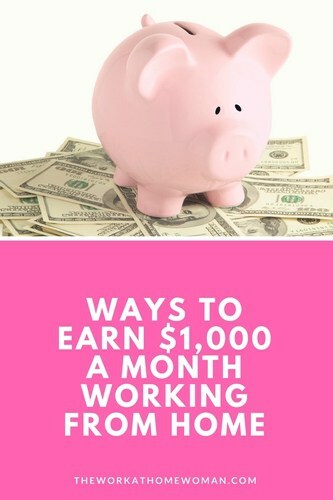 Make sure to check out this article, some really interesting ways to make an extra $1,000 a month – including face painting, parking lot trash pick up and selling worms! are small business owners and professionals, based all across the U.S. I typically work from 9am to 4pm, while my two children are in school. In the fall of 2000, I signed up with the direct sales company, Tastefully Simple. I have made a six figure income for years, but the intangible that is given to me through my job is more significant than the dollars. I have more friends, in more places than I ever could have imagined. I have traveled to over twenty places I would have never seen or afforded otherwise (many with my husband and totally free)! How are you making money from home? Whichever of these practical ideas you choose, you’ll be well on your way to earning extra money in any given month. Originally published June 3, 2015. Content updated June 12, 2017. In my opinion Joining an affiliate network is one of the simplest way to earn more from our website/Blog by working at home.Mobile advertising solutions gives us the opportunity to place banner ads in a significant manner. By Joining a Publisher ad Network we allow them a space in our website to advertise and in return we get paid.So,Affiliate marketing is highly recommended. Glad you enjoyed the list! I agree, affiliate marketing is great for publishers and bloggers! Hi Tatiana, Honestly, it depends on how much you want to hustle. There are some bloggers who have earned six-figures in their first year, but they are HIGHLY motivated. When I started blogging, I took on a freelance marketing gig so I knew I would have enough money for bills and to run my blogging business. If you need money now, this is something you may consider. I will say, though, having the freelance gig slowed my blog’s growth. Had I dropped it sooner I could have focused more time and energy on my blog. You should check out Sarah’s story, she is a single mom who was able to make six-figures in her first year: https://www.theworkathomewoman.com/single-mom-six-figures/ Also, if you decide you want to start a blog, BlueHost has a special going for the next 48 hours where you can get started for $2.95 a month http://bit.ly/2cy11yq (affiliate link). If you have more specific questions let me know. Good luck! I do dogsitting and dogwalking to make extra money. I work for neighbors and also am listed on dogvacay.com. We call it pet therapy but get paid for it. That’s great, Diana! Thanks for sharing your story. Yes it is really easy to make $1000 through Google AdSense. I am making good money from Google AdSense from past ten years. How Do I Make $1000 / Month from Google AdSense? This was a very helpful article and is helping me earn some money for college next year, thank you very much. Have you signed up for a copy of my free blogging e-book? You can do so at the bottom of this post. I haven’t made it to $1,000 a month just yet but I am working towards it. I am a blogger and get paid mostly through sponsored posts and product reviews. I was recently offered a writing gig as well (thanks to my blogging background) – at the moment I bring in about an extra $500 a month and I hope to double that in the next 6 months. Writing and social media services are great ways to add extra revenue to your blogging efforts. Wishing you all the best in 2016, Rose! Hello! Thanks for this article, it is truly inspiring. I very much enjoy writing and editing and have often wondered about making extra income from that. Where would I start? Any advice would be great. Thanks so much. Check out the video below. It’s the reason why I joined Jeunesse. Also, you can click on “Find out more” for additional info about the company and its products. Thanks, Holly & The Work At Home Women for the great tips! I have completed bachelor of science in electrical and electronic engineering. I am good at math and English. I also have a passion for sports like football and cricket. I understand them well. I can write football and cricket comments. Could you please suggest me what sort of work I can do form home to earn some extra money?